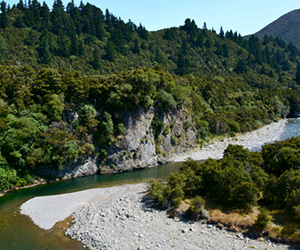 A special tribunal has been appointed to consider an application for a Water Conservation Order on Hawke’s Bay’s Ngaruroro and Clive rivers. Water Conservation Orders are set up to recognise and sustain waters considered to be outstanding as a habitat or fishery, or for scenic, scientific or recreational values. Once made, an order is able to restrict resource use to protect these outstanding values. The public will be invited to make submissions on the application, and the tribunal will then hold a hearing before reporting back to the Environment Minister, Dr Nick Smith, with recommendations. The tribunal’s findings can be appealed to the Environment Court. For more information about Water Conservation Orders, click here.